Irvine rockers Thrice have been playing noisy distorted shows for years, inspiring many a headbang from an entire generation of American youth. 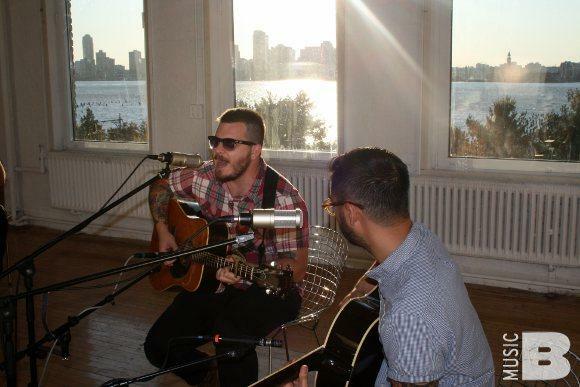 But you've probably never seen them like we did on Monday at M Studio... stripped down to acoustic guitars in the streaming sunlight of the Hudson River. Check out some photos from the shoot and stay tuned for the full session video.